What you describing is not fail over but High Availability design. The errors you are reporting are expected as full topoolgy of the serach service expects the other components. Not the answer you're looking for? 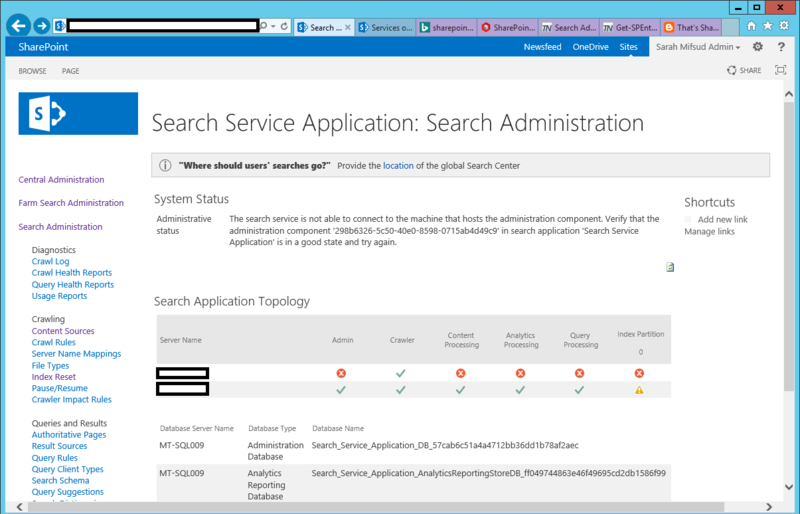 Browse other questions tagged sharepoint-server search designer-workflow failover or ask your own question. The search service is not able to connect to the machine that hosts the administration component"